The Tyneside Irish Centre provides a meeting place for the Irish community, their friends and relations, but our welcome extends to all. Tyneside Irish Centre in Newcastle upon Tyne has aircon. The pub has disabled facilities, it serves food. Tyneside Irish Centre has a function room that can be booked. The pub serves real ale, it has free WiFi. 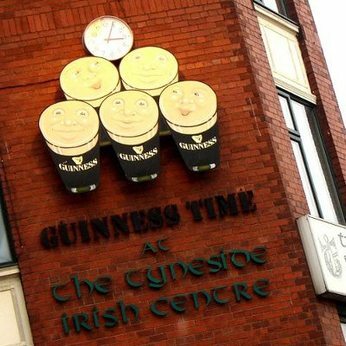 Tyneside Irish Centre shows live comedy. The pub has a dart board, it has DJ's. Tyneside Irish Centre has karaoke. The pub has live music events, it has a pool table. Tyneside Irish Centre holds quiz nights. The pub has a big screen, it shows cricket on TV. Tyneside Irish Centre shows football on TV. The pub has the Racing Channel, it shows rugby on TV. Tyneside Irish Centre has Sky Sports. The pub has terrestrial TV, it is a members club.